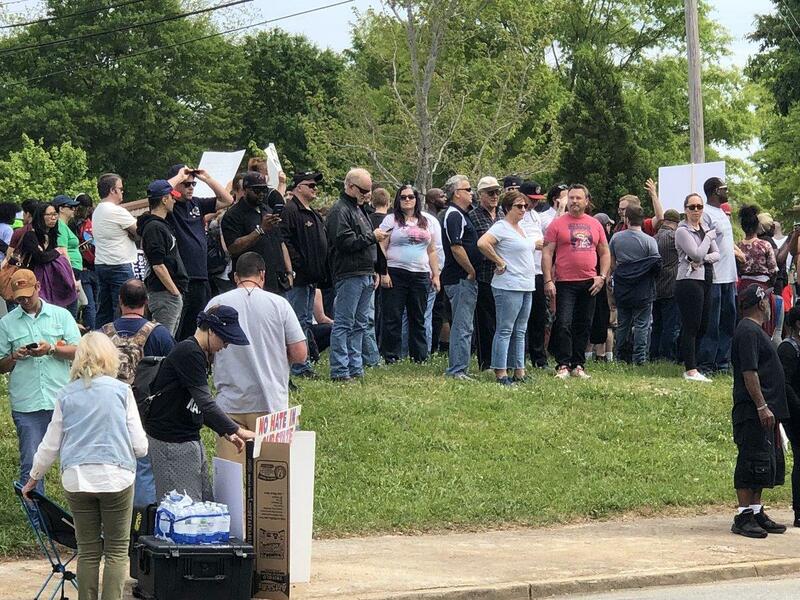 At least ten counter-protesters were arrested Saturday at a scheduled neo-Nazi rally in Newnan, Georgia, CBS affiliate WGCL reports. Authorities in the town of about 37,000 people had braced for the possibility of violence at the annual rally, which celebrates Adolf Hitler's birthday. Police told WGCL there was no property damage or injuries at the event. Nearly 100 people were expected to attend the rally in the city's Greenville Street Park. The National Socialist Movement has a permit to hold the rally from 3 to 5 p.m. ET. Counter-protesters showed up to the event chanting "Newnan strong." An hour before the event began, Lt. Gov. Casey Cagle tweeted that he was praying for Newman. Praying for Newnan. We must condemn the bigotry spread by hate groups. Our thoughts are with Sheriff Yeager, city officials, and all law enforcement officers who are working to protect residents and we hope the protests remains nonviolent. In August, a white nationalist rally in Charlottesville, Virginia, devolved in violence. Heather Heyer, 32, was killed when a vehicle slammed into counter-protesters. Nineteen people were hospitalized. The driver, James Alex Fields Jr., was charged with second-degree murder.